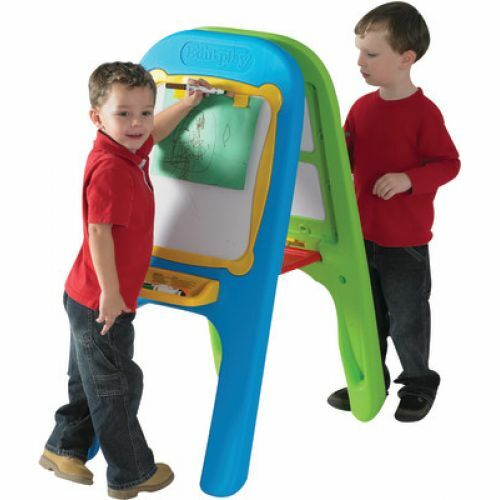 This sturdy lightweight indoor/outdoor easel is easy to set up or fold away. Both sides have a magnetic/dry erase board, clips to hold paper for drawing or coloring, and a handy tray for holding your markers, crayons, or magnetic toys (not included). When easel is standing, there is a storage shelf in the middle. 21"W x 30 1⁄2"D x 43"H. Additional shipping charges apply.